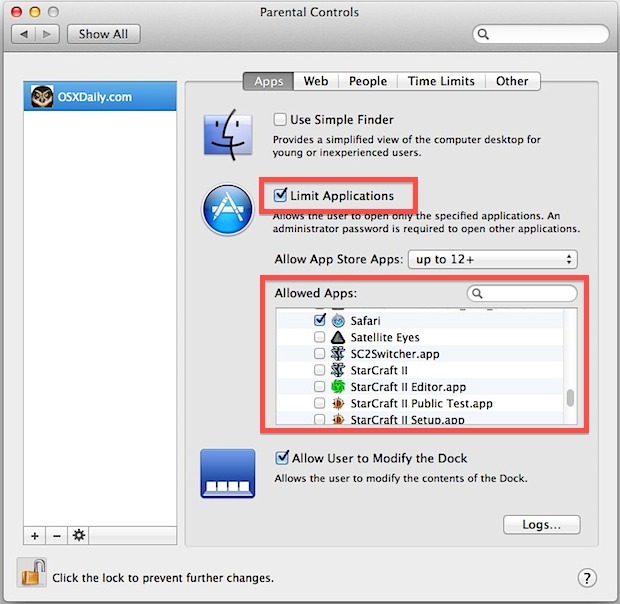 If you want to restrict app usage for a particular user on a Mac, there is no easier option than Parental Controls. This is a great solution for parents setting up a limited-access account for a kid, for public usage Macs, Macs in the enterprise, or even just for a restricted Guest account for when someone else is using a computer. If you haven’t done so yet, you’ll want to have created a separate user account for the user to restrict app access to, that can be done through the “Users & Groups” panel in System Preferences. 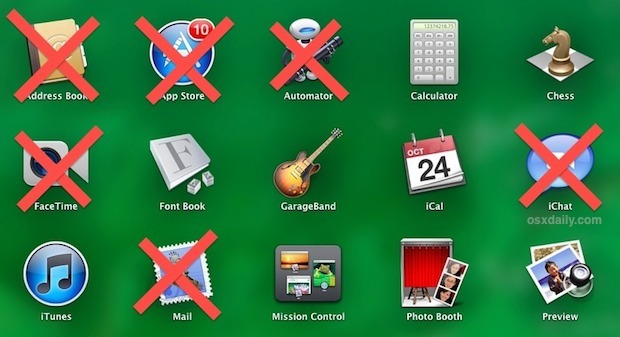 When finished, close out of Parental Controls, though you may want to check the box for “Use Simple Finder” as well to even further limit options available to the designated user account. Upon the next login for the that user, the apps that were not selected will not be accessible. This is an excellent trick when kid-proofing a Mac, or for any other situation where app usage should be limited for certain users. It can even be used as a way to force self control upon yourself, where you could create a separate “work” and “play” user account, each with apps that are only appropriate for the tasks you should be performing with each account. An additional layer of restriction is possible by creating apps of certain web sites, then restricting general access to the web or web browsers completely. This would allow the account user to access a website like Wikipedia only, but not the general web. This tip was inspired by a question on the OSXDaily Facebook page, thanks to Yash and Ed!